Model transformations have proved to be powerful in the development of critical systems. According to their intents, they have been used in many domains such as models refinement, simulation, and domain semantics. The formal methods have been successful in the verification and validation of critical systems, and in particular, in the formalization of UML, BPMN, and AADL. However, little research has been done on verifying the transformation itself. In this paper, we extend our previous work using Isabelle/HOL that transforms UML State Machine Diagrams (SMD) to Colored Petri nets (CPN) models and proves that certain structural properties of this transformation are correct. For example, the structural property: “for each final state of a SMD model a corresponding place in CPN model should be generated by the transformation” is described and checked using Isabelle/HOL as invariant property. In the current work, we use Scala as environment of executing Isabelle/HOL specifications and we perform the verified transformation using Scala. Moreover, we demonstrate our approach using another case study of transforming BPMN (Business Process Model and Notation) models into Petri nets models and verify the correctness of certain structural properties of this transformation. 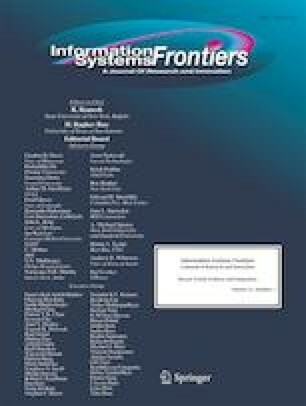 Amrani, M., Combemale, B., Lúcio, L., Selim, G.M.K., Dingel, J., Le Traon, Y., Vangheluwe, H., Cordy, J.R.: “Formal verification techniques for model transformations: A tridimensional classification”. JOT 14(3), 1–43 (2015). https://doi.org/10.5381/jot.2015.14.3.a1. Bodeveix J-P, Filali M, Garnacho M, Spadotti R, Yang Z (2015) Towards a verified transformation from AADL to the formal component-based language FIACRE. In: Science of Computer Programming, Elsevier, vol. 106, pp. 30–53. https://doi.org/10.1016/j.scico.2015.03.003. Gabmeyer, S., Kaufmann, P., Seidl, M., Gogolla, M., & Kappel, G. (2017). A feature-based classification of formal verification techniques for software models. Softw Syst Model. https://doi.org/10.1007/s10270-017-0591-z. Kherbouche OM, Ahmad A, Basson H (2013) Using model checking to control the structural errors in BPMN models”. RCIS: 1–12. https://doi.org/10.1109/RCIS.2013.6577723. Meghzili S, Chaoui A, Strecker M, Kerkouche E (2016) Transformation and validation of BPMN models to petri nets models using GROOVE," 2016 International Conference on Advanced Aspects of Software Engineering (ICAASE), Constantine, pp. 22–29. https://doi.org/10.1109/ICAASE.2016.7843859. Meghzili AC, Strecker M, Kerkouche E (2017) On the verification of UML state machine diagrams to colored petri nets transformation using Isabelle/HOL. IEEE International Conference on Information Reuse and Integration (IRI), San Diego, CA, 2017, pp. 419–426. https://doi.org/10.1109/IRI.2017.63. Mottu JM, Sen S, Tisi M, Cabot J (2012) static analysis of model transformations for effective test generation. 2012 IEEE 23rd international symposium on software reliability engineering, Dallas, TX, pp. 291–300. https://doi.org/10.1109/ISSRE.2012.7. Percebois C, Strecker M, Tran HN (2013) Rule-level verification of graph transformations for invariants based on edges’ transitive closure. In: Hierons, R.M., Merayo, M.G., Bravetti, M., (eds), Software Engineerin and formal methods, Madrid, Spain, 25/09/2013–27/09/2013. Volume 8137 of lecture notes in computer science, http://www.springerlink.com, Springer 106–121. https://doi.org/10.1007/978-3-642-40561-7_8. Rensink A (2003) The GROOVE simulator: A tool for state space generation. AGTIVE : 479–485. https://doi.org/10.1007/978-3-540-25959-6_40. Sanchez Cuadrado J; Guerra E; J. de Lara (2016) Static analysis of model transformations. In: IEEE transactions on software engineering, vol. PP, no. 99, pp. 1–1. https://doi.org/10.1109/TSE.2016.2635137. Strecker M (2002) Formal verification of a Java Compiler in Isabelle. International Conference on Automated Deduction (CADE), Berlin, Heidelberg, pp. 63-77. https://doi.org/10.1007/3-540-45620-1_5. Topology and Orchestration Specification for Cloud Applications Version 1.0. 25 November (2013). OASIS Standard. http://docs.oasis-open.org/tosca/TOSCA/v1.0/os/TOSCA-v1.0-os.html. Wei X, Dong Y, Li X, Wong WE (2017) Architecture-level hazard analysis using AADL. J Syst Softw, ISSN 0164-1212, https://doi.org/10.1016/j.jss.2017.06.018.